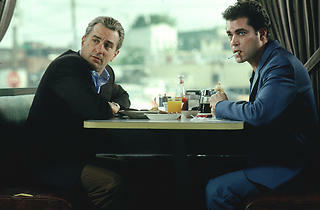 Scorsese's fast, violent, stylish mobster movie is a return to form, De Niro, and the Italian-American underworld. 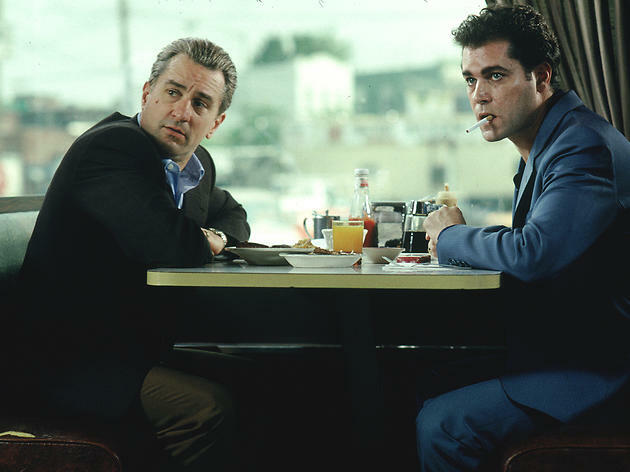 But in following, from '55 to the late '70s, the true-life descent into big-time crime of Henry Hill (Liotta), he and co-writer Nick Pileggi seem less concerned with telling a lucid, linear story than with providing sociological evidence of an ethically (ethnically?) marginalised society united by the desire to make a fast buck. Because Hill and the older 'good fellas' he first falls in with as an awestruck kid - De Niro, Pesci, Sorvino - exist almost totally on the surface, we watch shocked and beguiled but never come to care. The camera and cutting style is as forcefully persuasive as a gun in the gut, so that we are not enlightened but excited by the cocky camaraderie, bloody murder, and expansive sense of 'family' on view. Still, the movie excites the senses in a way few film-makers even dream of, and its epic sweep and brilliantly energetic film language rest on a cluster of effortlessly expert performances.